A big congratulations is in order to Seth Lee of Troop 2 – Helena, AL. 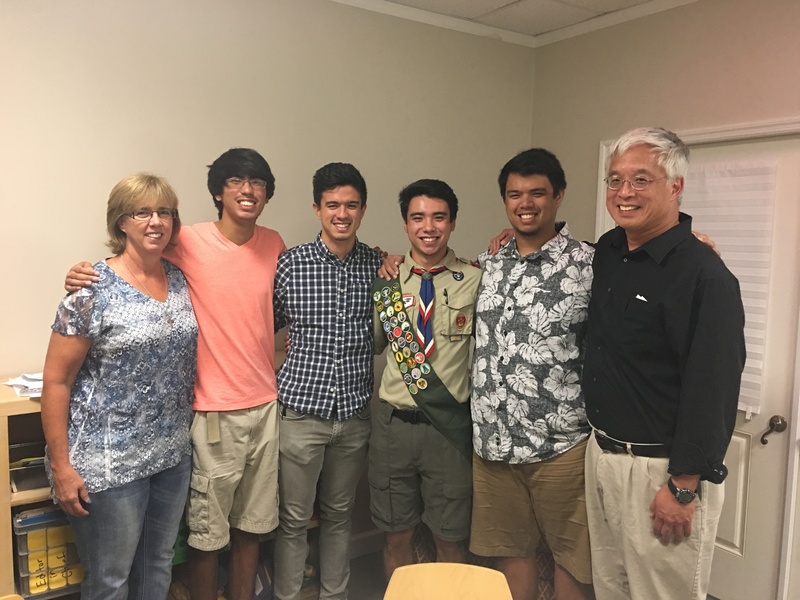 He became the fourth Eagle Scout in his family – all with Troop 2! Their mother Charlotte & dad, Dr. Larry Lee (Shelby District Chair) are quite proud of the accomplishments of Aaron, Alec, Brandon & Seth! There are only a handful of Eagle Scout brothers that number four or greater across the United States and Shelby District now has one of these unique families! This achievement reflects greatly on the work ethic of these young men, the Adult leadership provided by Troop 2, and the dedication lovingly given by their parents. A hearty Boy Scout congratulations to the entire Lee family!